1) Muscle nerves – The nerves which control your movement and posture and when disturbed can lead to abnormal tensions, weakness and fatigue. 2) Organ nerves – The nerves which control all of your organs, immune system and glands (hormones). When disturbed this can lead to malfunction in your body functions leading to many potential organ, hormone and immune system problems. 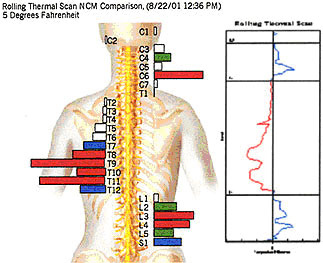 3) Pain & Sensation – The nerves that control your ability to sense and perceive pain. (Only about 10% of your nerves sense pain). While Pain is a strong warning that something is wrong, a lack of pain may not mean that we are totally healthy. 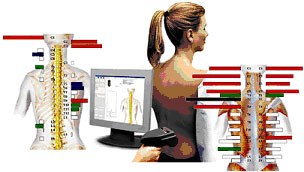 The INSIGHT DISCOVERY technology helps us assess your nerve and spine health beyond your symptoms. This allows us to catch problems before they become painful and monitor your progress when pain nerves are no longer being affected.